James Burrell, one of the North of England’s largest independent Builders Merchants, were redeveloping their existing head office branch at Gateshead and wanted to create a “Flagship” depot with a different type of trade counter area offering more of a retail experience. 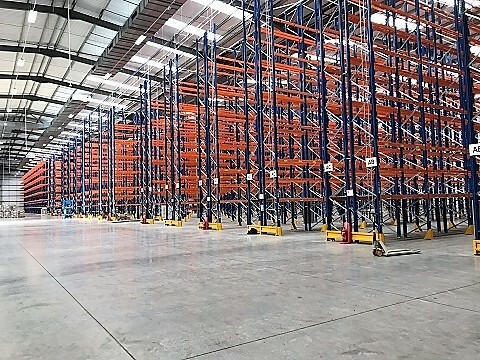 The development team lead by George Cammish approached Warehouse Storage Solutions, who had previously supplied and installed racking on site and asked if we could assist with the design generally and the supply and installation of the shelving and Gondola elements of the shop. From an initial CAD design produced between Burrells and Warehouse Storage Solutions Ltd a 3D “walkthrough” animation of the shop design was produced for the team to be able to present a visual representation for the Directors and staff to critique before a final design was agreed upon. Warehouse Storage solutions then supplied and installed the shelving and gondolas, including accessories such as baskets, garment hangers, dividers, hooks, POS podiums and bins, prior to the shop opening on time. The new Trade Counter area has since that time shown a marked increase in sales, fully justifying the investment made.